Developing sector strategy and coordinating EY services to clients in the telecommunications industry. Our global telecommunications study shows the sector is vulnerable to shifts in technology cycles, competitor actions and customer needs. The paradigm shift to digital is well underway. The global telecoms industry landscape is changing faster than ever. 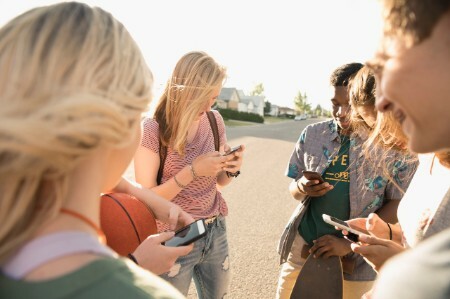 Erosion of legacy revenue streams driven by over-the-top (OTT) competitors continues, forcing operators to consider new ways of remaining relevant to consumer and enterprise customers. While many have embarked on journeys to become digital service providers, the sector remains vulnerable to quickening shifts in terms of technology cycles, competitor actions and customer needs. The 2017 global telecommunications study has been conducted by EY to monitor and evaluate the evolving views of leaders across the global telecommunications industry. Our 2017 survey drills down into perspectives from the industry’s CIO and CTO community in order to explore the role of IT and networks and to examine how this is supporting long-term digital transformation. We conducted 39 in-depth interviews with participants from 36 organizations, supported by insights and analysis from EY’s sector professionals and secondary research sources. The 36 organizations taking part this year account for annual revenue of US$421 billion and an aggregate market capitalization of US$603 billion. Looking across the views of the global telecoms industry leaders elicited in our research, eight key messages emerge strongly. 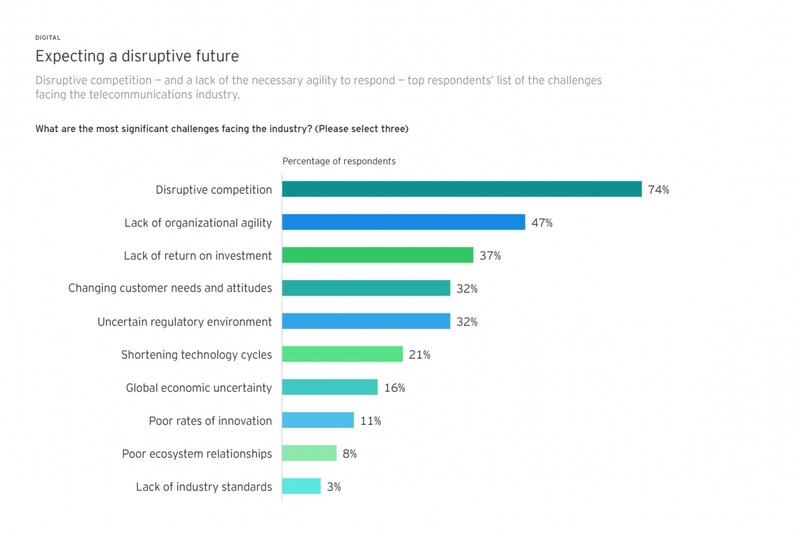 Disruptive competition tops the list of industry challenges. Digital business models, customer experience and cost control lead the 2020 strategic agenda. The network dominates the near-term spending agenda, but a range of IT improvements are also being sought. Network capex is trending up but IT spending profiles vary. Confidence is rising in the digital services opportunity, yet caveats remain. Analytics and virtualization are the top innovation drivers, but legacy IT and a lack of skills are acting as brakes. Process automation leads the list of long-term IT enablers. The post-2020 landscape will be transformed by 5G. Our estimation is that volumes of mobile data will increase 10 times in the next five years. An analysis of the findings by geography shows that operators’ views differ according to market maturity, with their outlook on industry priorities, transformation barriers and the next wave of network access technologies varying significantly among different regions. 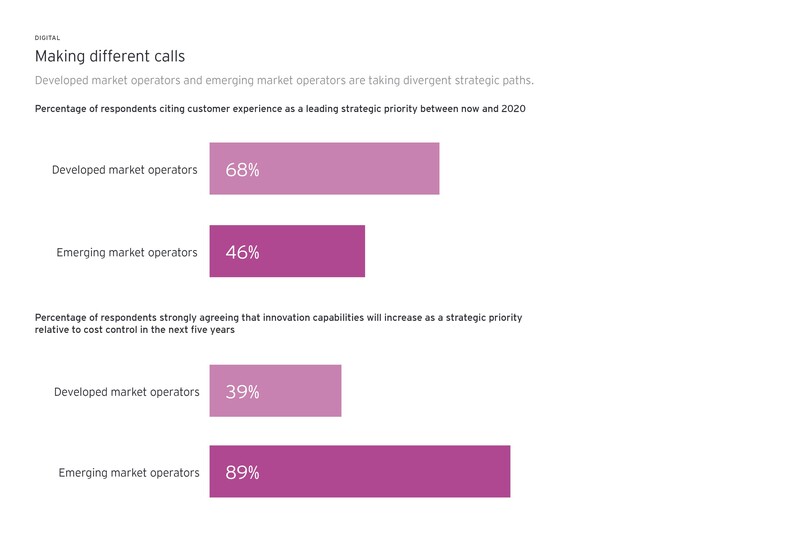 Operators in developed markets are more concerned with customer experience improvements, a higher level of focus that dovetails with their greater anxiety surrounding disruptive competition. Based on our research findings, we’ve identified seven key considerations for telcos to keep front of mind as they undertake their journey of digital transformation through 2020 and beyond. 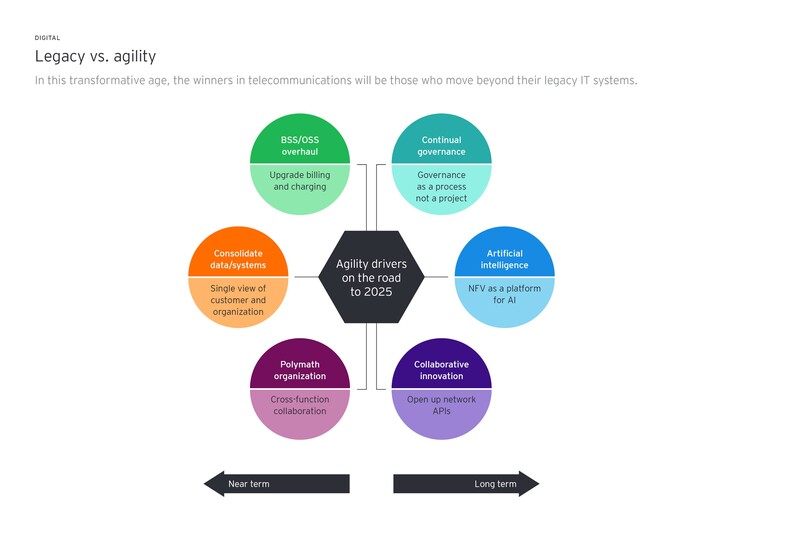 Improved organizational agility is at the heart of successful digital transformation. A more structured approach to digital services development will deliver long-term upside. New forms of ecosystem engagement are essential. A holistic approach to analytics will maximize its benefits. A wider set of demand drivers requires a more nuanced network infrastructure road map. Process automation will define the telco of the future. Going digital requires a shift in organizational mind-set, structure and interaction.